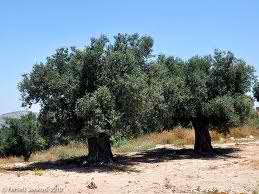 5 The messenger that spoke to me answered and said to me, DO YOU NOT KNOW WHO THESE TWO OLIVE TREES ARE? And I said no, master. 6 The messenger answered and spoke to me, saying, THIS IS YEHWEH’S WORD THAT IS UPON ZERUBBABEL saying; NOT BY MIGHT, NOR BY POWER, BUT BY MY SPIRIT (REFERRING TO BY HIS 7 SPIRITS) SAYS YEHWEH OF HOSTS. 7 WHO ARE YOU GREAT MOUNTAIN? BEFORE ZERUBBABEL’S FACES YOU WILL BECOME A PLAIN AND HE WILL BRING FORTH “THE HEADSTONE” (YEHSHUA) SHOUTING FAVOR FOR FAVOR UNTO HIM. THE GREAT MOUNTAIN THAT YEHWEH MY ELOHIYM IS REFERRING TO IS “MYSTERY BABYLON” WHOSE HIGH & LOFTY, REBELLIOUS, UNCIRCUMSISED HEARTS & MINDS ARE LIFTED UP ABOVE THE TESTIMONY OF HIS WORD IN PRIDE & IN ARROGANCE. 20 And when the disciples saw it they marveled saying, HOW IS IT THAT THIS FIG TREE INSTANTLY WITHERED AWAY! 21 Yehshua answered and said to them, TRULY I SAY TO YOU, IF YOU “HAVE BELIEF” AND DO NOT DOUBT YOU WILL NOT ONLY DO THIS TO THE FIG TREE, BUT ALSO IF YOU SAY UNTO THIS MOUNTAIN, BE TAKEN UP AND CAST INTO THE SEA, IT WILL BE DONE! 22 AND ALL THINGS WHATSOEVER YOU ASK FOR IN PRAYER, BELIEVING, YOU WILL RECEIVE. THE ELOHIYM OF ABRAHAM, ISAAC AND ISRAEL CONTINUES TO CONFIRM HIS WORD THROUGH MAGNIFYING HIS SIGN OF JONAH (A.K.A . "HIS SIGN OF THE DOVE") THROUGH THESE PAST OVER 8 YEARS OF HIM SENDING HIS END TIME ELIJAH TO THE SCATTERED DESCENDANTS OF ISRAEL TO RESTORE ALL THINGS & HE HAS NOW DONE SO INTO THE 8th SABBATH DAY OF HIS 6,000 YEAR, YEAR OF THE RAM'S HORN RELEASE OF DEBTS. IT IS BEYOND AMAZING THAT HE HAS CONTINUED TO SHORTEN THE DAYS IN THE MANNER THAT HE HAS BEEN IN THE PROCESS OF DOING. TODAY'S 8th SABBATH DAY (THAT FOLLOWS THE LAST GREAT DAY OF HIS SPRING HARVEST FEAST OF THE 2nd MONTH) FOLLOWS THE 7th DAY OF THE 7 DAYS THE HOUR OF HIS 6th TRUMPET PROPHECY. THIS SABBATH DAY FALLS ON 4/15 ON HIS SERVANT SATAN'S CALENDAR. TODAY IS THE 59th DAY OF HIS 50th YEAR, YEAR OF THE RAM’S HORN RELEASE OF DEBTS THAT IS ERRONEOUSLY CALLED THE JUBILEE YEAR. I BELIEVED THAT 2 DAYS AGO ON THE NIGHT OF THE 27th DAY OF THE 2nd MONTH ON HIS RESTORED CALENDAR, ON THE SAME NIGHT THAT HE OPENED THE DOOR OF THE 3 TIERS OF THE BOAT IN THE DAYS OF HIS SERVANT NOAH, WAS THE TIME THAT HE WAS GOING TO SEND FORTH THE IMMANUEL MAN-CHILD MAHARE SHALAWL KOOSH BAZ & THIS MAN-CHILD'S 3 SIBLINGS. INSTEAD HE CONTINUED TO SHORTEN THE DAYS. HIS ENEMIES ARE ALL OF YOU THAT LIVE IN REBELLION TO THE WORD OF HIS MOUTH, THE SAME WORD THAT HE HAS PUT UPON THE MOUTH OF HIS SERVANT THAT HE HAS PLUCKED FROM YOUR MIDST AND SENT TO RESTORE ALL THINGS. WHAT YOU MUST DO IN ORDER TO LIVE THROUGH THIS TIME OF JACOB'S TROUBLE THAT IS GOING TO BE LET LOOSE UPON YOU "BEFORE" THIS IMMANUEL MAN-CHILD'S CORD GOES FORTH IS DISCUSSED THROUGHOUT THE SEGMENTS THAT ARE ON THIS SITE. THE CLOCK BELOW IS A COUNT FROM 7:34 A.M. ON THE 24th DAY OF THE 1st MONTH OF OUR MAKER'S 7th, 7th YEAR SABBATH ACCORDING TO HIS RESTORED CALENDAR. WHAT THIS CLOCK HAS REPRESENTED ALONG THE WAY HAS CONTINUED TO HAVE PROFOUND SIGNIFICANCE IN HIS END TIME TIMELINE & HAS TESTIFIED TO THE FACT THAT THE TIME THAT HE IS GOING TO LET LOOSE HIS HOT INDIGNATION IS INDEED NEAR AT HAND. TODAY'S 8th SABBATH DAY THAT FOLLOWS HIS FEAST OF THAT WHICH IS UNLEAVENED IS THE 29th DAY OF THE 2nd MONTH ON HIS RESTORED CALENDAR. THIS "SIGN OF THE DOVE DAY" OF HIM SHORTENING THE DAYS FALLS ON THE 15th DAY OF THE 4th MONTH ON HIS SERVANT SATAN'S CALENDAR. TODAY IS THE 59th DAY OF THE 6,000th YEAR, YEAR OF THE RAM'S HORN RELEASE OF DEBTS. THIS 8th SABBATH OF HIS YEAR OF THE RAM'S HORN HOSTS THE 186th SILVER TRUMPET ASSEMBLY AT HIS HOUSE THAT HE HAS RISEN UP IN THE MIDST OF EGYPT PER HIS ISAIAH CHAPTER 19 PROPHECY. IT IS THE 48th DAY OF OUR ANCESTORS DEPARTING FROM THE AHAVA RIVER IN BABYLON (AFTER THEIR 3 DAY FAST) ON THEIR JOURNEY TO BRING THE SILVER AND THE GOLD INTO THE DEPOSITORY OF YEHWEH'S HOUSE. THE NIGHT OF THE 14th DAY OF THE 1st MONTH (45 DAYS AGO) HIS HOUSE WAS THE ONLY HOUSE ON PLANET EARTH THAT DID HIS PASSOVER MEMORIAL ACCORDING TO ALL OF HIS INSTRUCTIONS THAT HE GAVE TO US TO DO IT AND NO OTHERS DID HIS BACK-UP OPPORTUNITY OF THE 2nd MONTH THAT WAS 15 DAYS AGO EITHER. 6 YEARS AGO DECEMBER 25th ON HIS SERVANT SATAN'S CALENDAR HOSTED THE 7 LAPS OF THE 7th DAY OF THE 13 LAPS OF HIS SHOFAR BLOWING FROM HIS MOUNTAINS. 2,300 DAYS LATER (THE 27th DAY OF THIS 2nd MONTH) IS THE DAY THAT HIS DANIEL CHAPTER 8 PROPHECY MARKS AS THE DAY THAT WILL BRING FORTH THE JUSTIFICATION OF HIS HOLY PLACE. WHEN WE CAME TO 10 DAYS FROM THIS DECEMBER 25th/65th DAY JUNCTION TIME 101 DAYS' JOURNEY AGO ON THE 18th DAY OF THE 11th MONTH (6 YEARS AND 10 DAYS LATER), HE MARKED THAT TIME HAS JUST ABOUT RAN OUT FOR HIM TO CONTINUE SENDING FORTH HIS "SIGN OF THE DOVE" AND THEN 3 DAYS' JOURNEY LATER HE CEASED FROM 'ECHOING' FROM HIS HOLY MOUNTAINS. THE 18th DAY OF THE 11th MONTH WAS THE 4,122nd ANNIVERSARY OF THE DAY THAT HE CAUSED HIS SERVANT NOAH TO LET LOOSE THE DOVE THE 2nd TIME AND IT BROUGHT BACK AN OLIVE BRANCH. THE SIGNIFICANCE OF THIS EVENT IN RELATION TO YEHWEH'S 2nd OLIVE BRANCH, HIS 2nd SON OF HIS ZECHARIAH CHAPTER 4:14 ANOINTING AND THE 4,122nd YEAR AND THE IMMANUEL MAN-CHILD MAHARE SHALAWL KOOSH BAZ (strong's number 4122) IS DISCUSSED IN SEVERAL SEGMENTS THAT ARE ON THIS SITE. 11O DAYS PRIOR TO THIS DAY WAS WHAT I THOUGHT WAS THE LAST GREAT DAY OF THE MOST HIGH'S FEAST OF INGATHERING AS A RESULT OF HIM EXTENDING THIS FEAST TO 14 DAYS. PRECEPT UPON PRECEPT, MEASURING LINE UPON MEASURING LINE, HERE A LITTLE & THERE A LITTLE HE HAS UNCOVERED THAT THIS LAST GREAT DAY WAS ACTUALLY A PROPHECY THAT IS FOR YESTERDAY'S LAST GREAT OF HIS EXTENDED BACK-UP FEAST OF THAT WHICH IS UNLEAVENED. THIS LAST GREAT DAY OF THIS FEAST WAS THE DAY THAT YEHSHUA PROPHESIED OF IN JOHN 7:37-38 THAT IS FOR YEHWEH'S 'LIVING WATERS' FLOWING OUT FROM THE BELLY OF ONE THAT 'BELIEVES' INTO HIS WORD. 110 DAYS PRIOR WAS THE DECEMBER 25th/65th DAY ANNIVERSARY OF THE 13th LAP. THE SIGNIFICANCE OF 110 DAYS IN RELATION TO "AS IT WAS IN THE DAYS OF NOAH" IS DISCUSSED THROUGHOUT THE SEGMENTS THAT ARE ON THIS SITE. THE 10th DAY OF THE 7th MONTH OF LAST YEAR'S 7th, 7th YEAR SABBATH WAS THE MOST HIGH'S COMMANDED OBSERVANCE OF HIS DAY OF ATONEMENT (HIS DAY OF COVERING). YEHWEH MY ELOHIYM CAUSED HIS END TIME ELIJAH TO REMOVE THE COVERING FROM THE BOULDER DESIGN OF HIS HOUSE (HIS ALTAR) FOR HIS DAY OF COVERING (HIS DAY OF ATONEMENT) AND TO LEAVE IT UNCOVERED; TODAY's 2/29, 8th SABBATH DAY WAYPOINT IS THE 230th DAY OF HIM CAUSING HIS ALTAR TO REMAIN UNCOVERED THEREFORE WE ARE 229 DAYS FROM HIS DAY OF COVERING. HE CAUSED HIS ANOINTED TO BLOW THE SHOFAR OF A RAM'S HORN @ 7:34 A.M. ON THAT MORNING TO BEGIN MY 3rd PETITION OF THE DAY TO HIM. THE "DRAWN OUT" BLAST THAT ENDED THIS 3rd PETITION TO HIM ON THAT DAY FULFILLED HIS LEVITICUS CHAPTER 25, VERSE 9 PROPHECY TO SET FORTH THE LAST 170 DAYS OF THE 7th, 7th YEAR SABBATH THAT TOOK US TO HIS 50th YEAR, YEAR OF THE RAM'S HORN. 2 DAYS AGO, ON THE ANNIVERSARY OF THE DAY THAT HE OPENED THE DOOR, WAS THE 360th & LAST DAY OF THE 360 DAYS OF HIS PERFECT ONE SMOOTH STONE. HE CONTINUES TO MARK THESE WAYPOINTS IN THE MANNER THAT HE HAS IN ORDER TO SHOW THAT HE IS GETTING READY TO SEND FORTH HIS WRATH "SUDDENLY" UPON THOSE OF YOU THAT LIVE IN REBELLION TO HIM. "TURN BACK FROM YOUR REBELLION TO OUR MAKER BY TURNING BACK TO HIM THROUGH THAT WHICH HE HAS RESTORED THROUGH HIS END TIME SON OF ADAM AND SEPARATE YOURSELF TO HIM IN ORDER TO BE HIS SHUT-UP TREASURE AT HIS HOLY MOUNTAIN OR ELSE PREPARE TO BE SMITTEN BY THE OATH OF HIS CURSE AND IF YOU REFUSE TO BE HUMBLED ONCE HE SMITES YOU, PREPARE TO DIE IN YOUR REBELLION TO HIM!" I am EXCEEDINGLY PLEASED to declare that today’s 21st day of the 2nd month High day on our Maker’s restored calendar brings forth the removal of the 2nd of His dual substitution sacrifices. This 7th day of His back-up Feast of that which is Unleavened falls on 4/7 on His servant satan’s calendar. Tomorrow’s 22nd day of the 2 month will bring forth the 1st day of the 7 days of the final hour of His year & a month & a day & an hour/6th trumpet prophecy. The testimony of His word testifies that the “DAY” of His 6th trumpet prophecy (THAT ENDS WITH TODAY’S 1,290th DAY OF HIS SERVANT DANIEL’S CHAPTER 12 PROPHECY) was A 168 DAY period of time that began on the 4th day of the 9th month. He has now shortened THESE 168 DAYS into the 7 DAYS of “THE FINAL HOUR” which is 168 HOURS paralleling THESE 168 DAYS. Since our Maker is going to cease from pouring out His hot indignation with “THE 6th DAY OR THE 6th STEP OF THIS HOUR,” He is going to accomplish this in a 144 HOUR period of time. The manner that He has shortened the year & the month & the 168 days of His 6th trumpet into these 168 hours IS ABSOLUTELY AMAZING. And it looks like He is not finished shortening the days, it looks like He is going to continue to do so for the 1st ½ hour of this final hour. 2 …and I saw THE 7 MESSENGERS who stood before Elohiym’s faces AND 7 TRUMPETS WERE GIVEN TO THEM. I want to make a correction to something that I spoke in the last video, I said that His long-suffering & HIS INCREDIBLE MERCY that He has manifested to us in holding back His hot indignation in the manner that He has THESE PAST 7 YEARS & 40 DAYS AS OF THIS COMING 2/27 WAYPOINT are phenomenal. When I said this I was thinking that He began to hold this back on the 17th day of the 1st month of the year 5772 however after I recorded the video I looked it up and I saw that He actually did so at this time in the year 5771. Therefore He has actually held this back for THESE PAST 8 YEARS & 40 DAYS AS OF THIS COMING 2/27 WAYPOINT. The year 5771 overlapped the year 2011 on His servant satan’s calendar. It was at that time that He showed us that His space of ½ hour of His silence from His dual heavens is a prophecy that is for the space of 3 ½ days or 84 hours. These 8 years & 40 days parallel the 84 hours of His silence from His dual heavens. They also parallel things like the 840 days that He will have caused His anointed to approach near to Him 3 strokes per day as of the last day of this final hour. 840 days times 3 strokes of petitions to Him per day is 2,520 petitions. There are 2,520 days in a 7 year period of time according to our Maker’s restored calendar and His 360 day smooth stones. 2/27 is the end of His perfect “one” smooth stone. Since He is going to shorten the physical manifestation of His wrath of the 7 days of this hour into 6 days, it would stand to reason that this space of ½ hour will be manifested to us as a space of 3 days or 72 hours. If so, this would certainly set the stage for 3 days of darkness and it would fit perfectly into the conclusion of His sign of the dove (a.k.a. His sign of Jonah). …it looks like He is going to use 3 a.m. tonight as a starting point for these 6 parts of this final hour. This will put the end of His silence from His dual heavens coming at 3 a.m. during the night of the 24th day of this 2nd month. This 2/24, 3 a.m. waypoint will be 3 hours after the midnight hour that marks the end of 4/10 & the beginning of 4/11 on His servant satan’s calendar therefore it will be at 3 a.m. on 4/11. YEHWEH sent forth operation “Grapes of Wrath” on 4/11 on His servant satan’s calendar. He did so 23 years ago paralleling His kingdom of Priests. I also believe that 7:34 a.m. will still play a role in this as well. This 3 a.m. waypoint will be 7 days or 168 hours after He sent forth the flood. …He has scheduled His end time Elijah to appear before the faces of man’s judgment to publically declare that the inhabitants of the world are getting ready to die in your rebellion to Him if you do not turn back to Him from it. This event is scheduled to take place on the 9th day of the 4th month on His servant satan’s calendar. The testimony of His word tells us that the 9th day of the 4th month is the day that the famine prevailed upon the dual Jerusalems. The famine of hearing His word per His Amos chapter 8 prophecy indeed continues to prevail, at least for a short while longer. Amos 4:7 associates this prophecy with 3 months. Today’s 4/7, 1,290th day waypoint is 3 – 30 day restored months since YEHWEH stopped “echoing” from His Holy Mountains per His Ezekiel 7:7 prophecy. This coming 2/24 waypoint will be 3 -30 day months from the one smooth stone anniversary of His 11/24, day number one of His 4th messenger of blood OF HIS 4 MESSENGERS OF BLOOD that were bound in the great Euphrates River. There are 1,124 days that encompass the beginning of the 63 days of His Feast of that which is Unleavened that I will discuss in a bit and the end of them. YEHWEH marked His 4th day of the 9th month beginning of these 168 days with His 24th day of the 11th month/4th messenger of blood waypoint. He did so in a beyond remarkable way. He gives us both of these waypoints in His Zechariah prophecies. He gives them to us in conjunction with some of His prophecies that are for Him sending forth His 4 living creatures of His Isaiah chapter 6 Holy Seed. All of the dynamics that He has woven into this 3 a.m. waypoint and even into the court date that precedes it by 38 hours are fantastic. These 38 HOURS parallel things like HIS DUAL 38 YEAR DEATH SENTENCES that He has sent forth upon the descendants of Israel, the 1st of which was during the 1st exodus and the 2nd of which WE ARE NOW IN DURING THE TIME OF HIS 2nd EXODUS, AN EXODUS OUT FROM THE CAPTIVITY OF MYSTERY BABYLON. Here is some trivia for you, it takes 40, 7’s on average to bring forth a child from the onset of a woman’s last menstrual cycle and it takes 38, 7’s on average from when a child is conceived. The 40, 7’s parallel a whole host of things including His Psalms 40, verse 7 prophecy that is for the here & the now. These 38, 7’s parallel things like these 38 hours & His dual 38 year death sentences. The Immanuel man-child Mahare Shalawl Koosh Baz & his twin sister Rachel were conceived dual periods of 38, 7’s and 18 days or 550 days prior to the day that YEHWEH is going to send them and the faithful witness twins Zechariah & Uriah into the world. The significance of 18 days and 550 days is discussed in several segments that are on this site. Who has heard of such a thing as this? YEHWEH’s word even asks this same question in relation to the manner that He is sending forth these 1st four offspring of His Isaiah chapter 6 Holy Seed. He does so in Isaiah chapter 66, verse 8. Here is another awesome detail that He has woven into the event with man’s courthouse that will precede the end of this space of ½ hour by 38 hours. Like with my predecessor Elijah, YEHWEH has orchestrated 3 tiers of people coming to His end time Elijah to tell me to come down from His Holy Mountain. The 1st two tiers were a man that was angry that we were still here when he came. This man had ABSOLUTELY ZERO RESPECT for YEHWEH’s anointed being A MAN OF ELOHIYM. The same was the case with the 1st two tiers of 50 & one men that came to tell my predecessor Elijah to come down from the mountain that he was upon. The 3rd tier that came here was a man that was polite and somewhat humble, as was the case with the 3rd tier that came to my predecessor Elijah. He was respectful of what I had to tell him, at least on a physical plain. YEHWEH’s servant Elijah called down fire from His dual heavens to consume the first two sets of 50 & one men and He told His servant to go with the 3rd set of 50 & one men. When he did, His servant Elijah told Ahaziah faces to faces that he was going to die because he had inquired of Baal-zebub, the elohiym of Ekron for his healing instead of inquiring of YEHWEH. Baal-zebub means the master of the flies. …INSTEAD OF INQUIRING OF YEHWEH MY ELOHIYM, THE ELOHIYM OF ABRAHAM, ISAAC & ISRAEL FOR WHETHER OR NOT HE IS GOING TO LET YOU LIVE INTO ETERNITY. This is a “DEATH PENALTY” reality that you are going to experience unless you turn back to Him through that which He has restored. Today’s 1,290th day of His 1,290 day prophecy just happens to be the 50 & 1st day of His 50th year, year of the Ram’s Horn release of debts. He has also orchestrated this 1,290th day video to be the 1,290th video that He has caused His anointed to leave published on His repairing the breach you tube channel. I can promise you that I did not orchestrate this, at least not until 5 days ago when He showed me that there were 4 days left & also 4 videos left to produce by today. Among many, many, many other amazing details that He has woven into today’s 1,290th day and two days from this waypoint, is today is the 40th day of our ancestors traveling to His house with the silver & the gold and two days from today is the 42nd day. 7 …AND I WILL SHAKE ALL OF THE HEATHENS AND THE PLEASANT OF ALL OF THE HEATHENS WILL COME AND I WILL FILL THIS HOUSE “WITH GLORY” SAYS YEHWEH OF HOSTS. 8 THE SILVER IS MINE AND THE GOLD IS MINE SAYS YEHWEH OF HOSTS. He then goes into the 3 tiers of His dual 24th day of the 9th month prophecy. 22 I will overthrow the thrones of kingdoms and I will destroy the power of the kingdoms of the heathen and I will overthrow their chariots and those that ride in them and their horses and their riders will be cast down, each man by his brethren’s sword. This signature ring is summed up by His Isaiah chapter 55 prophecy. This is discussed in several other videos. His Isaiah chapter 55 signature parallels these 550 days. His entire word testifies that He has plucked me from your midst and caused me to be this servant Zerubbabel. The 24th day of the 9th month is 63 days after His 21st day of the 7th month (man of the Feast) “ONE LITTLE CONTINUANCE OF TIME” prophecy. We are now in the 3rd tier of His extended back-up Feast of that which is Unleavened that He has orchestrated at His house in the here and the now. 3 strokes of 14 days is 42 days. YEHWEH also orchestrated 3 tiers of 14 generations (or 42 generations) to send forth His only begotten Son who He sent into the world in the image OF HIS UNLEAVENED BREAD OF LIFE. …since His house has also celebrated the 7 days of this Feast in the 1st month for each of these 3 years, we have & are now in the process of celebrating His Unleavened Bread of Life FOR 21 DAYS each of these 3 years. These 21 days parallel THE 21 DAYS of His servant Daniel’s prophecies THAT ARE FOR THE GREAT PRINCE MICHAEL STANDING UP FOR THE CHILDREN OF YEHWEH’S PEOPLE AT THIS TIME. 3 TIERS OF 21 DAYS OF HIS FEAST OF THAT WHICH IS UNLEAVENED IS 63 DAYS. The 50 becoming 20 & 20 becoming 10 of the 1st tier of these 3 tiers of His 24th day of the 9th month (man of the Feast) prophecy also testify to this coming 2/27, 6th day waypoint. 10 MANY WILL BE PURIFIED AND MADE WHITE AND REFINED AND THE WICKED WILL BE CONDEMNED AND NONE OF ALL OF THE WICKED WILL UNDERSTAND BUT THOSE WHO ARE THE WISE WILL UNDERSTAND. 11 AND FROM THE TIME THE DAILY IS REMOVED AND THE ABOMINATION THAT MAKES DESOLATE IS GIVEN IS 1,290 DAYS. There are MANY, MANY, MANY REASONS for why I believe that this 1,335th day was yesterday plus YEHWEH has woven several tiers of this 1,335th day into His end time timeline in order to testify to me being the Michael of this Daniel chapter 12 prophecy. Yes, these verses are a continuation of Him telling us that He is going to send forth His great prince Michael to set the captives free at this time. As for the 1,290th day, the daily of this prophecy is REFERRING TO THE DAILY SUBSTITUTION SACRIFICE THAT YEHWEH HAS SENT FORTH WITH HIS DUAL SONS OF HIS ANOINTING OIL. The abomination of desolation is referring to CHRISTIANITY’S BOY SAUL OF TARSUS & his rat-pack who have desolated YEHWEH’s Holy word THAT HE GAVE TO US TO SET US APART TO HIM. The substitution sacrifice of His 1st Son’s shed blood (that resulted from YEHWEH causing His Son to be smitten in our stead) HAS A PRICE TAG. The price tag is paid by us TURNING BACK to our Maker by obeying His voice IN ORDER TO HAVE HIM SHAPE & MOLD US IN THE IMAGE OF HIS UNLEAVENED BREAD OF LIFE, THE IMAGE OF ELOHIYM. THUS FAR YOU HAVE REFUSED TO PAY THIS PRICE. The substitution sacrifice of His 2nd Son has been Him smiting His 2nd Son in your stead AND THIS TOO HAS A PRICE TAG THAT YOU HAVE REFUSED TO PAY. AND NOW YOU ARE GOING TO PAY THE PRICE!!! Our Maker’s word tells us that He caused His word to be recorded upon His 2nd Son of His Zechariah 4:14 anointing oil. “AT THIS TIME” I will say behold, I COME IN “THE ROLL” OF THE BOOK THAT IS WRITTEN UPON ME. Other prophecies (such as Psalms 139) testify to this reality as well. He gave us the testimony of His word in this manner so that we could use His word to identify His end time Elijah. Understanding this reality unlocks a treasure trove of prophecies. Even His prophecies that identify His only begotten Son, His 1st Son of His Zechariah 4:14 anointing oil, are actually prophecies that identify both of us. A close look at those that are obviously for His only begotten Son shows that there is more to them than the obvious. An example of this is found in Zechariah chapter 13. The way that this verse ties into YEHWEH’s magnification of His waters of separation & His touching the dead life of an Adam statute & His fountain of living waters that flow out from the belly of “ONE” that believes His word is totally awesome. He goes on in the following verse to tell us that He is going to cut off the idols from the land at the time that He sends forth this fountain of living waters along with the false prophets and the spirit of the unclean that remain here. He tells us that a man’s mother & father that begat him are going to thrust him through when he prophesies at this time. This obviously did not happen at the time that He sent forth His only begotten Son in a manner that fulfilled a partial tier of the following verses. One of the problems with accrediting this verse completely to Yehshua is He was not smitten in the house of His loved ones like YEHWEH’s 2nd Son of His anointing oil has been. Reality is Yehshua was “THRUST THROUGH” in place of those who would turn back to YEHWEH including His 2nd Son of His anointing oil. Look up the words for yourself. This is a prophecy for YEHWEH appearing to me in my youth and speaking to me in an audible manner out from the clouds telling me that He was going to raise me up to be a great servant when I was older. Being an “Adam that is serving of the soil’ parallels my existence under the curse that YEHWEH gave upon Adam & Eve when He cast them from His tree of life and from His Garden of Delight. This is another reality that is at hand. Yehshua’s disciples being scattered when He was smitten was just A VERY SMALL TIER of this. YEHWEH’s word tells us elsewhere that He has already scattered the scattered descendants of Israel SO THIS PROPHECY TELLS US THAT THIS FLOCK WAS GOING TO REMAIN SCATTERED AS A RESULT OF HIM CAUSING HIS SHEPHERD TO BE SMITTEN WHEN HE SENT ME. His entire word backs up this reality. He has smitten His shepherd IN YOUR STEAD just like He smote His only begotten Son in place of Him smiting those who would turn back to Him, including His 2nd Son not needing to be smitten on a physical plain by being actually thrust through with a sword. His word even tells us that this was going to be the case and that I was not going to have to die. Scoff & mock at this all you want to, what I am telling you is a reality that you are soon going to be shown is true. Today (4/5/2019) is the 1,288th day of the 1,290 days of His servant Daniel’s chapter 12 prophecy. This video just so happens to be the 1,288th video that He has caused His anointed to leave published on His repairing the breach you tube channel. 11 AND FROM THE TIME THE DAILY (REFERRING TO THE DAILY SUBSTITUTION SACRIFICE THAT YEHWEH HAS SENT FORTH WITH HIS DUAL SONS OF HIS ANOINTING OIL) IS REMOVED AND THE ABOMINATION THAT MAKES DESOLATE IS GIVEN IS 1,290 DAYS. It also parallels His “My Messenger” chapter 3 prophecy. If you want to become part of THE TITHE OF THE FINAL THIRD that will become purified & made white you need to come out from your whoredoms to YEHWEH & be His set-apart people. If not, prepare to be a partaker of His hot indignation!!! WILL THE EARTH TRAVAIL IN ONE DAY? THE ALMIGHTY HAS MADE THIS “REAL” SIMPLE!!! YEHWEH my Elohiym, the Elohiym of Abraham, Isaac and Israel, THE SELF-EXISTING CREATOR OF ALL THINGS, IS GETTING READY TO CEASE FROM SHORTENING THE DAYS!!! When He does so, you have THE EXTREMELY SIMPLE MATTER OF BELIEVING HIS WORD AND TURNING BACK TO HIM THROUGH THAT WHICH HE HAS RESTORED THROUGH HIS END TIME ELIJAH AND OBEYING HIS VOICE AND SEPARATING YOURSELF TO HIM IN ORDER TO BE HIS PEOPLE OR ELSE DYING IN YOUR REBELLION TO HIM. He cannot make this any simpler than He has. THE CHOICE IS YOURS TO MAKE, CHOOSE LIFE SO THAT YOU AND YOUR SEED CAN LIVE!!! His word testifies that He has plucked His end time son of Adam from your midst sent me to restore all things, BELIEVE HIS WORD & DO THAT WHICH HIS WORD TELLS YOU TO DO OR ELSE DIE IN YOUR UNBELIEF. 4 Behold, A WITNESS OF THE PEOPLE, I HAVE GIVEN HIM, A COMMANDER AND A CONSTITUTOR TO THE PEOPLE. 5 Behold, you (this witness) shall call a heathen nation THAT DOES NOT KNOW and the heathen nation that does not know you WILL RUN TO YOU ON ACCOUNT OF YEHWEH YOUR ELOHIYM AND FOR THE HOLY ONE OF ISRAEL BECAUSE HE WILL BEAUTIFY YOU. 12 YOU SHALL SAY “THIS IS” THAT WHICH WILL GIVE REST TO THE WEARY AND GIVE THEM COMFORT AND “THIS IS” THE PLACE TO ESCAPE THE TOIL YET THEY WILL NOT BE WILLING TO LISTEN TO YOU. 9 YOU PEOPLE HAVE DONE WICKEDNESS AND YOU ARE GOING TO BE FILLED WITH TERROR, GIVE EAR ALL OF YOU FARAWAY LANDS AND GIRD UP, YOU ARE GOING TO BE FILLED WITH TERROR, GIRD UP, YOU ARE GOING TO BE FILLED WITH TERROR. 10 CONSULT COUNSEL AND IT WILL BE DISANNULED (IT WILL BE MADE VOID), SPEAK A WORD AND IT WILL NOT RISE UP BECAUSE EL’ IS WITH US. 15 …AND MANY OF THEM WILL STUMBLE AND FALL AND BE BROKEN AND BE SNARED AND CAPTURED. 16 BESIEGE THE TESTIMONY, SEAL UP THE TORAH AS THOSE TAUGHT BY ME. 17 AND I WILL WAIT FOR YEHWEH WHO WILL HIDE HIS FACES FROM THE HOUSE OF JACOB AND I EXPECT HIM. 18 BEHOLD, I AND THE OFFSPRING (plural) THAT YEHWEH IS GIVING TO ME ARE FOR SIGNS AND FOR WONDERS IN ISRAEL WITH YEHWEH OF HOSTS WHO RESIDES IN MOUNT ZION. 19 WHEN THEY SAY TO YOU TO INQUIRE TO MEDIUMS AND TO TO KNOWING ONES THAT PONDER AND GIBBER, SHOULD NOT A PEOPLE INQUIRE TO THEIR ELOHIYM FOR THE LIVING TO DIE? 20 IF THEY DO NOT SPEAK TO THE TORAH AND TO THE TESTIMONY OF THIS WORD IT IS THAT THERE IS NO DAYLIGHT IN THEM. 9:1 …BECAUSE THE 1st TIME THAT YOU ARE REVILED THERE WILL NOT BE OBSCURITY AND ANGUISH IN THE LAND OF ZEBULUN AND IN THE LAND OF NAPHTALI AND AFTERWARDS YOU WILL BE HONORED IN THE PATHWAY OF THE SEA ON THE OTHER SIDE OF THE JORDAN AT THE FOLDING DOOR (AT THE GALILEE) FOR THE HEATHENS. 20 Then he said, DO YOU KNOW FROM WHERE I HAVE COME TO YOU? (Since verse 16 tells us that this messenger that was speaking to Daniel was like the sons of Adam, this verse tells us “do you know from where the one that has been sent to you at this time as the son of Adam has come to you?”) “AT THIS TIME” (verse 14 tells us that this prophecy is referring to “AT THE END OF THIS ERA OF TIME”) I will turn back TO CONSUME THOSE WHO ARE WITH THE PRINCE OF PERSIA. I will go forth and behold, A PRINCE WILL COME TO YOU FROM GREECE. 21 TRULY YEHWEH YOUR ELOHIYM “WILL DECLARE TO YOU THAT WHICH IS RECORDED IN HIS SCRIPTURE OF TRUTH” AND THERE IS “NOT ONE” THAT WILL SEIZE WITH HIM IN THESE THINGS “EXCEPT FOR” HIS PRINCE MICHAEL. 43 He (referring to the king of the north) WILL RULE OVER THE TREASURIES OF THE GOLD AND THE SILVER AND THAT WHICH YOU DESIRE along with the steps of the Egyptians and the Libyans and the Ethiopians. 45 …AND HE WILL PLANT THE TENTS OF HIS PALACE ON HIS GLORIOUS HOLY MOUNTAIN BETWEEN THE SEAS AND THOSE WITH NONE TO HELP THEM WILL COME TO AN END. AT THIS TIME MICHAEL, THE GREAT PRINCE WILL STAND UP. HE WILL STAND FOR THE CHILDREN OF YOUR PEOPLE AND THERE WILL BE A TIME OF ADVERSITY THAT THERE NEVER HAS BEEN SINCE THERE HAS BEEN A NATION UNTO THIS TIME AND AT THIS TIME MY PEOPLE WILL BE DELIVERED, ALL THAT ARE FOUND WRITTEN IN MY BOOK. 1 Behold, I WILL SEND FORTH MY MESSENGER before your faces TO TURN YOUR FACES TOWARDS THE PATHWAY and Adonai will search you out and I will come to My Palace “SUDDENLY,” THE MESSENGER OF THE COVENANT “WHOM I DELIGHT IN” “WILL COME TO YOU” says YEHWEH of hosts. 4 …AND THE OFFERINGS OF JUDAH AND JERUSALEM WILL “BE PLEASING TO YEHWEH” AS IN THE DAYS OF OLD AND AS IN THE FORMER YEARS. 5 AND I WILL APPRAOCH TO YOU WITH JUDGMENT AND THERE WILL BE A SWIFT WITNESS AGAINST THE SORCERERS AND AGAINST THE ADULTERERS AND AGAINST THE FALSE SEVENERS AND AGAINST THOSE THAT DEFRAUD THE HIRELING OF HIS WAGES AND THOSE THAT TURN ASIDE THE WIDOW AND THE FATHERLESS AND TURN ASIDE THE SOJOURNER AND THOSE THAT DO NOT FEAR ME says YEHWEH of hosts. 6 Because I, YEHWEH, DO NOT CHANGE. But I will not make a full end of you, you children of Jacob. 7 FROM THE DAYS OF YOUR FATHERS YOU HAVE REMOVED MY STATUTES AND YOU HAVE NOT HEDGED ABOUT THEM. TURN BACK TO ME AND I WILL TURN BACK TO YOU SAYS YEHWEH OF HOSTS. But you ask WHAT SHOULD WE TURN BACK TO? 8 WILL AN ADAM STEAL FROM ELOHIYM? BECAUSE YOU ARE THIEVES TO ME. But you say where have we stolen from Elohiym? WITH YOUR TITHES AND YOUR OFFERINGS. 9 Therefore I WILL CURSE YOU WITH A BITTER CURSE because “ALL OF THIS HEATHEN NATION” ARE THIEVES TO ME. 10 BRING YOU ALL OF YOUR TITHES INTO THE DEPOSITORY “OF MY HOUSE” SO THAT THERE WILL BE PREY “IN MY HOUSE.” TEST ME (PROVE ME) NOW WITH THIS SAYS YEHWEH OF HOSTS, IF I WILL NOT OPEN WIDE “THE WINDOWS” OF THE DUAL HEAVENS TO YOU AND POUR OUT A BLESSING THAT THERE WILL NOT BE ROOM ENOUGH FOR IT. 12 …and all of you heathens WILL BE BLESSED BECAUSE YOU WILL BE A DESIRED LAND says YEHWEH of hosts. 13 YOUR WORDS HAVE SEIZED ABOVE ME says YEHWEH. Yet you say WHAT HAVE WE SPOKEN ABOVE YOU? 14 You say IT IS FALSE (DESOLATING) TO SERVE ELOHIYM AND WHAT GAIN IS IT THAT WE HEDGE ABOUT HIS SENTRY POST (referring to hedging about His charge) AND THAT WE WALK MOURNFULLY (AS IN SACKCLOTH AND ASHES) BEFORE YEHWEH OF HOSTS’ FACES? 15 “WE HAVE THE BLESSINGS” AND HENCEFORTH YOU ARE PROUD” AND YOU ALSO BUILD UP THOSE THAT DO WICKEDNESS AND YOU ALSO ESCAPE PROVING ELOHIYM. 16 AND THEN THOSE THAT FEARED YEHWEH SPOKE EACH MAN WITH HIS NEIGHBOR AND THEY HEARKENED AND THEY LISTENED TO YEHWEH AND I WILL WRITE THEM IN MY BOOK OF REMEBRANCE OF THEM THAT FEAR YEHWEH BEFORE MY FACES AND CONSIDER MY NAME. 17 AND THEY WILL BE MINE says YEHWEH of hosts IN THE DAY THAT I DO “MY SHUT UP TREASURE” AND I WILL SPARE UPON THEM AS A MAN SPARES UPON HIS SON THAT SERVES HIM. 18 TURN BACK AND SEE BETWEEN THE RIGHTEOUS AND THE WICKED AND BETWEEN HIM THAT SERVES ELOHIYM AND HIM THAT DOES NOT SERVE HIM. 1 Because behold THE DAY WILL COME and it will be that ALL OF THE PROUD WILL BURN IN AN OVEN AND ALL THAT DO WICKEDNESS “WILL BE STUBBLE” AND THE DAY THAT WILL COME WILL BURN THEM UP SO THAT I WILL LEAVE THEM NEITHER ROOT NOR BRANCH SAYS YEHWEH OF HOSTS. 2 But to those of you “THAT WILL FEAR MY NAME” “THE SUN OF RIGHTEOUSNESS WILL ARISE” WITH HEALING IN HIS WINGS and you will go forth AND GROW UP like calves in a stall. 3 And you (referring to those of you that will turn back to the Most High per chapter 3 and fear His name and stand with and sustain His end time messenger of His covenant per chapter 3) will trample the wicked BECAUSE THEY WILL BE ASHES BENEATH THE PALMS OF YOUR DUAL FEET IN THE DAY THAT I WILL DO THIS SAYS YEHWEH OF HOSTS. 4 “MARK” THE TORAH OF MY SERVANT MOSES that I constituted to him AT HOREB FOR ALL OF ISRAEL WITH MY STATUTES AND MY JUDGMENTS. 6 HE (“THE SUN OF RIGHTEOUSNESS”) WILL TURN THE HEARTS OF YOUR FATHERS (referring to the hearts of the patriarchs like Abraham and Moses and Noah and David and such) TO THE CHILDREN AND THE HEARTS OF THE CHILDREN TO THE HEARTS OF YOUR FATHERS (referring to you turning back to having such a heart as they had and still have in His eternal realm) OR ELSE I WILL COME AND SMITE THE EARTH WITH A CURSE. 1 Then I turned back and lifted up my eye and I looked and beheld A FLYING ROLL. 2 And He said to me, what do you see? And I said, I SEE A FLYING ROLL and the length of it is 20 CUBITS and the width of it is 10 CUBITS. 3 Then He said to me, this is THE OATH OF THE CURSE that will journey forth UPON THE FACES OF ALL OF THE EARTH because everyone THAT HAS STOLEN (this is referring to all of you that are stealing from Him by not bringing Him your tithes & your offerings into the depository of His house at this time like He has commanded you to do) WILL BE ACQUITTED ACCORDING TO THIS(flying roll) AND EVERYONE THAT HAS SEVENED (the next verse tell us that He is referring to everyone has sevened to His name falsely) WILL BE ACQUITTED ACCORDING TO THIS(flying roll). 4 I will journey forth, says YEHWEH of hosts, and “SHE” (the oath of the curse of this 20 cubit by 10 cubit flying roll) will enter INTO THE HOUSE OF THE THIEF and INTO THE HOUSE OF HIM THAT SEVENS TO MY NAME FALSELY AND “SHE” WILL REMAIN IN THE MIDST OF HIS HOUSE AND SHE WILL MAKE AN END OF HIM THAT IS AMONG HIS TIMBERS AND AMONG HIS STONES. He is telling you that you had better get out of your houses and get to dwelling in tents like He has charged you to do at this time and to stop stealing from Him and to stop sevening to His name falsely or else to prepare to be smitten by the oath of His curse. He goes on in the following verses to tell us that you are being judged at this time with His Mahare Shalawl Koosh Baz ephah that the dual wives of this chapter 5 prophecy are lifting up between His dual heavens and the earth AS THEY JOURNEY FORTH UPON THE DUAL WINGS OF A STORK to build His house that He is in the process of rearing up in the midst of babylon at this time (beginning with these 4 offspring of His Isaiah chapter 6 Holy Seed). Their journeying forth upon the dual wings of a stork is why He tells us that this 20 cubit by 10 cubit roll of His curse is flying. There being dual wives that are lifting up this ephah is why He refers to this 20 cubit by 10 cubit oath of His curse as a she. In the 33 verses of His Ezekiel chapter 33 end time son of Adam prophecy He tells us that IF YOU DO NOT REPAY THAT WHICH YOU HAVE STOLEN FROM HIM YOU ARE GOING TO DIE. If I were you I would believe Him. 19 BEHOLD THE VOICE OF THE WAILING OF THE DAUGHTER OF MY PEOPLE FROM FARAWAY LANDS. IS NOT YEHWEH IN ZION? IS NOT HER KING IN HER? WHY HAVE THEY PROVOKED ME TO ANGER WITH THEIR IDOLS THAT ARE A STRANGER AND WITH VANITIES? CHILDREN OF ZION, REJOICE AND BE JOYOUS IN YEHWEH YOUR ELOHIYM BECAUSE HE HAS GIVEN YOU “A TEACHER OF RIGHTEOUSNESS” TO COME DOWN TO YOU AS THE RAIN AND THE TEACHER WILL BE AS THE LATTER RAIN AND AS IN THE FIRST. 1 I waited, waited for YEHWEH and You listened to my cry and You stretched forth to me. 2 You lifted me up from the roar of the pit and from the miry clay and You have risen my dual feet upon a rock and You have established my steps. 3 You have given my mouth a new song, a praise to my Elohiym and many will see and fear and trust in YEHWEH. 4 Blessed is that valiant man that puts his confidence in YEHWEH and does not turn towards the proud or wander in lies. 5 YEHWEH my Elohiym, many are Your wondrous doings that you have done and there are none that can set Your thoughts towards us in order to You, I will declare and speak of them, Your mighty works are more than can be numbered. 6 You have dug out my dual ears and Your delight is not in the sacrifice and the gift and You do not ask me for the burnt offering and the sin offering. 7 At this time I will say behold, I COME IN “THE ROLL” OF THE BOOK THAT IS WRITTEN UPON ME. 8 Your delightful acceptance does my Elohiym’s delight and Your Torah is in the midst of my bowels. 9 I have brought forth the tidings of right to the great assembly, behold, I have not held back my dual lips, YEHWEH You know. 10 I have not covered Your righteousness in the midst of my heart and I have not hidden Your favor and Your truth from the great assembly and I have spoken of Your faithfulness and Your deliverance. 12 …because evils that are without number have surrounded upon me and their iniquities have overtaken me and I am not able to look up, they are more abundant than the hairs of my head and my heart leaves me. 13 YEHWEH, be pleased to take me away, YEHWEH, hurry to be my help. 14 Make those that search to scrape away my life be ashamed and reproached together and turn the backside away of those that have pleasure in their evil and put them to shame. 15 Desolate those that say ha, ha to me upon the result of their disgrace. 16 Let all of them that search for You rejoice and be joyous in You, let those that love Your deliverance say; YEHWEH be magnified continually. 17 I am poor and needy Adonai, consider me, you are my help and my deliverance, do not refrain My Elohiym. KISS THE SON (referring Lemowel of HIS PROVERBS CHAPTER 31 prophecy) LEST HE BE SORELY DISPLEASED AND YOU PERISH IN THE WAY WHEN HIS ANGER BURNS IN A LITTLE (referring to in a short period of time). HAPPY ARE ALL OF THEM THAT TAKE REFUGE IN HIM. 1 And He (YEHWEH) showed me (He showed His servant Zechariah) YEHWEH’S MESSENGER standing before Yehshua the High Priest and satan standing at his right hand to accuse him. 2 And YEHWEH said to satan; YEHWEH rebuke you satan; even YEHWEH that has chosen Jerusalem (even YEHWEH that has chosen where the chief seat of the scattered descendants of Israel is at this time) rebuke you; IS THIS NOT THE BRAND THAT I HAVE PLUCKED OUT OF THE FIRE? 3 The messenger that was clothed with filthy garments stood before Yehshua (the High Priest). 4 And He (Yehshua) answered and spoke to him that stood before Him, saying, REMOVE THE FILTHY GARMENTS THAT ARE UPON YOU. And He said to him, Behold; I HAVE PASSED OVER THE INIQUITY THAT IS UPON YOU AND I WILL CLOTHE YOU WITH A CHANGE OF RAIMENT. 5 And He said; put a “PURE HEAD COVERING” upon your head. SO I PUT A PURE HEAD COVERING UPON MY HEAD AND I CLOTHED WITH A CHANGE OF GARMENTS AND YEHWEH’S MESSENGER STOOD. 6-7 AND YEHWEH AND YEHSHUA TESTIFIED TO HIS MESSENGER, saying, thus says YEHWEH of hosts, IF YOU WILL WALK IN MY PATHWAY (IN HIS TORAH) AND IF YOU WILL HEDGE ABOUT MY CHARGE THEN YOU WILL ALSO JUDGE (PLEAD WITH) MY HOUSE and if you will also hedge about My court I will give to you TO WALK AMONGST THOSE THAT STAND. 8 I beseech you to hear Yehshua the High Priest, you and your companions that sit before His face. And they beheld (they looked upon) THE WONDER (THE SIGN) OF THIS MAN BECAUSE HE (YEHWEH) BROUGHT FORTH HIS SERVANT THE BRANCH. 10 In that day, says YEHWEH of hosts, you shall call man to his fellow to beneath the vine and to beneath the fig tree. 3 And TWO OLIVE TREES UPON IT, one at the right side of the bowl and the other at the left side of it. 4 So I answered and said to the messenger that spoke with me, saying, master, WHO ARE THESE? 5 The messenger that spoke to me answered and said to me; DO YOU NOT KNOW WHO THESE TWO OLIVE TREES ARE? And I said no, master. 6 The messenger answered and spoke to me saying, THIS IS YEHWEH’S WORD THAT IS UPON ZERUBBABEL saying; NOT BY MIGHT, NOR BY POWER, BUT BY MY SPIRIT (REFERRING TO BY HIS 7 SPIRITS) SAYS YEHWEH OF HOSTS. These verses give us YEHWEH’s dual witnesses by name, His servant Zechariah asked who they are and YEHWEH’s messenger told him who they are. Zerubbabel means one that flows out from babylon therefore it means one that flows out from mystery babylon at this time. The headstone is clearly YEHWEH’s only begotten Son. 9 THE FOUNDATION OF THIS HOUSE IS IN “THE DUAL HANDS” OF ZERUBBABEL AND HIS DUAL HANDS WILL “SEIZE IT WITH DETERMINATION” AND YOU WILL KNOW THAT YEHWEH OF HOSTS HAS SENT HIM TO YOU. 10 BECAUSE WHO HAS DESPISED (who has disrespect for or has contempt for or has dis-esteemed) THE DAY OF SMALL THINGS? “YOU SHALL REJOICE” WHEN YOU SEE “THE MEASURING LINE” IN THE HAND OF ZERUBBABEL “WITH THESE SEVEN,” THEY ARE YEHWEH’S DUAL EYES THAT WILL GO FORTH INTO ALL OF THE LAND. His servant Zechariah asks a 2nd time who these two olive trees are. 11 Then I answered and said to him; WHO ARE THESE TWO OLIVES TREES THAT ARE UPON THE RIGHT SIDE OF THE CANDLESTICK AND UPON THE LEFT SIDE OF IT? 12 And I asked again (a 3rd time) and said to him WHO ARE THESE TWO BRANCHES OF THE OLIVE TREES that are to “THE HAND” OF THE TWO GOLDEN SPOUTS OF THE GOLDEN (OIL) THAT POURS OUT FROM THESE UPON THEM? 13 And he answered me and said DO YOU NOT KNOW WHO THESE ARE? And I said, no master. 14 Then he said THESE ARE TWO OF THE SONS OF THE ANOINTING OIL THAT STAND UPON THE MASTER OF ALL OF THE EARTH. 1 HOW LOVELY ARE YOUR DWELLING PLACES YEHWEH of hosts? 2 My life also longs for YEHWEH TO FINISH YOUR COURTYARDS and my heart and my flesh SING WITH JOY TO THE LIVING EL’. 3 Also, THE BIRD HAS FOUND A HOUSE, THE LIBERTY (THE SET FREE) BIRD HAS A NEST FOR HERSELF that she may place her brood, IN YOUR ALTARS YEHWEH OF HOSTS, my King and my Elohiym. 4 Blessed are they THAT DWELL IN YOUR HOUSE, THEY WILL CONTINUE PRAISING YOU, Selah. 5 Blessed is the Adam WHOSE POWER IS IN YOU, WHOSE HEART IS UPON YOUR HIGHWAY. 6 They will pass over THE VALLEY OF BACA (the valley of weeping) TO THE FOUNTAIN THAT YOU HAVE PUT IN PLACE AND YOU WILL ALSO COVER THEIR BLESSINGS WITH YOUR TEACHER. 7 They will go out FROM YOUR ABILITY TO YOUR ABILITY AND BE SEEN TO ELOHIYM IN ZION. 8 YEHWEH Elohiym of hosts, listen to my prayer, I HAVE GIVEN MY EAR TO THE ELOHIYM OF JACOB, SELAH. 9 THEY WILL SEE YOUR SHIELD ELOHIYM AND THEY WILL LOOK UPON THE FACES OF YOUR ANOINTED. 10 BECAUSE A DAY IN YOUR COURTYARDS IS BETTER THAN A THOUSAND AND THEY WILL CHOOSE THE DOORKEEPER OF MY ELOHIYM’S HOUSE AND TO MOVE AWAY FROM THE TENTS OF THE WICKED. 11 Because YEHWEH Elohiym is A SUN AND A SHIELD and YEHWEH gives favor and honor AND YOU DO NOT HOLD BACK GOOD FROM THEM THAT WALK WITHOUT BLEMISH. 12 YEHWEH of hosts, BLESSED IS THE ADAM THAT TRUSTS IN YOU. 2 …SO THAT I CAN LOOK UPON YOU IN YOUR HOLY PLACE AND SEE YOUR POWER AND YOUR GLORY. 4 …AND I LIFT UP MY DUAL PALMS IN YOUR NAME SO THAT I WILL BLESS YOU WHILE I LIVE. 5 AS WITH THE ASH OF THE CHOICE MY LIFE IS SATISFIED WITH THE DUAL LIPS OF MY MOUTH BOASTING YOUR HERALDINGS. 7 …I SING WITH JOY IN THE SHADOW OF YOUR DUAL WINGS BECAUSE YOU ARE MY HELP. 11 …AND THE KING WILL REJOICE IN ELOHIYM AND ALL THAT SEVEN TO YOU WILL BOAST BECAUSE THE MOUTH OF THOSE THAT SPEAK THAT WHICH IS FALSE WILL BE STOPPED. 10 …AND I WILL SPEAK “UPON THE PROPHETS” AND I WILL MULTIPLY REVELATION THROUGH SIMULATING AND IN THE HAND OF THE PROPHETS. 1 A Song of steps in YEHWEH turning back “THE RESTORATION OF THE PROPERTY” OF ZION, WE BECAME AS ONES WHO ARE DREAMING. 2 “AT THIS TIME” (#227) our mouth was filled with laughter and our tongue sings with joy, “AT THIS TIME” those in the heathen nations have said; YEHWEH HAS DONE GREAT MAGNIFICATION “WITH” THEM. 3 YEHWEH HAS DONE GREAT MAGNIFICATION “WITH” US IN WHICH WE HAVE BECOME JOYFUL. 4 TURN BACK OUR CAPTIVITY, OUR CAPTIVITY, YEHWEH, AS THE CHANNELS IN THE SOUTH. 5 THOSE THAT SOW IN TEARS WILL REAP IN JOYFUL SINGING. 6 HE THAT WALKS JOURNEYING FORTH AND TO WEEP BEARING PRECIOUS SEED, he will come, he will come in singing with joy BEARING HIS SHEAVES. THE 1st MONTH OF THE 6,000th YEAR is the 1st month of THE YEAR OF THE RAM’S HORN RELEASE OF DEBTS. 57 DAYS INTO THIS YEAR (ON 2/27) WILL RESULT IN THE MOST HIGH SENDING FORTH THE IMMANUEL MAN-CHILD MAHARE SHALAWL KOOSH BAZ. 1/1 falls on 2/16 on His servant satan’s calendar [s.c.]; head of the month celebration/158th Silver Trumpet Assembly/remove the covering from the 3rd tier of the Ark/end time Elijah cleansing His sanctuary/Ezekiel 26, 29:17 and 45:18, Exodus 40:2 and 17, Ezra 7:9 and 10, 2nd Chronicles 29:17. 1/3 [2/18 s.c.]; 1st day of His servant Daniel’s 21 days. 1/7 [2/22 s.c.]; The 2nd of His end time Elijah cleansing His sanctuary waypoint of 2/Ezekiel chapter 30:20 ‘breaking Pharaoh’s arm’ prophecy/3rd anniversary of Him rearing up His Altar in the midst of Egypt. 1/8 [2/23 s.c.]; The 1st Sabbath of the Year of Ram’s Horn Release/167th Sabbath of the 1,290 Days of His servant Daniel’s chapter 12 prophecy/159th Silver Trumpet Assembly/2 chronicles 29:17-18 Hezekiah waypoint. 1/9 [2/24 s.c.]; Ezra and company got to the Ahava River with the gold & the silver and began their 3 day fast. 1/12[2/27 s.c.]; Ezra and company departed from the Ahava River with the gold & the silver. 1/13 [2/28 s.c.]; Ester 3:12/last supper waypoint. 1/14 [3/1 s.c.] YEHWEH’s Passover Memorial. 1/15 [3/2 s.c.]; The 2nd Sabbath of the Year of Ram’s Horn Release/168th Sabbath of the 1,290 Days of His servant Daniel’s chapter 12 prophecy/160th Silver Trumpet Assembly/1st exodus anniversary & night to be much observed waypoint. 1/15 through 1/21 [3/2 through 3/8 s.c.]; YEHWEH’s 7 day Feast of that which is Unleavened that contains His 160th through His 166th Silver Trumpet Assemblies. 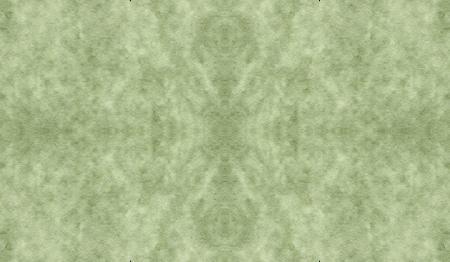 1/16 [3/3 s.c.]; The wave omer is waved. 1/17 [3/4 s.c.]; The anniversary of Yehshua’s resurrection from the dead. 1/21 [3/8 s.c.]; The last day of the Feast of that which is Unleavened High Day/166th Silver Trumpet Assembly. 1/23 [3/10 s.c.] His servant Daniel’s 21st day of the 3 full sevens of Daniel chapter 10. 1/24 [3:11 s.c.]; The day that His end time son of Adam Messenger came to His Daniel at 7:34 a.m. with the interpretation of His end time son of Adam/Michael vision/7th anniversary of His end time son of Adam shaving off his hair per His Ezekiel chapter 5 prophecy. 1/22 [3/9 s.c.]; The 3rd Sabbath of the Year of Ram’s Horn Release/169th Sabbath of the 1,290 Days of His servant Daniel’s chapter 12 prophecy/167th Silver Trumpet Assembly. 1/27 [3/14 s.c.]; 1 smooth stone anniversary of His 2nd Son of His anointing oil resurrection waypoint. 1/29 [3/16 s.c.]; The 4th Sabbath of the Year of Ram’s Horn Release/170th Sabbath of the 1,290 Days of His servant Daniel’s chapter 12 prophecy/168th Silver Trumpet Assembly. 1/30 [3/17 s.c.]; Head of the month celebration/169th Silver Trumpet Assembly. The 2nd month of the year 6,000 [3/18 s.c.]; head of the month celebration/beginning of the 7 day march around Jericho (a.k.a. the stench of a month)/170th Silver Trumpet Assembly/1st Kings 5:14. 2/2 [3/19 s.c.]; 2nd Chronicles 3:2, Ezra 3:8/Solomon & company began to build the 1st house that YEHWEH caused to be built unto His name. 2/7 [3/24 s.c.]; The 7 laps of the 7th day of the 7 day march around the stench of a month. 2/8 [3/25 s.c.]; The 5th Sabbath of the Year of Ram’s Horn Release/171st Sabbath of the 1,290 Days of His servant Daniel’s chapter 12 prophecy/171st Silver Trumpet Assembly. 2/10 [3/27 s.c.];The day that we are commanded to set aside the lamb or goat for His back-up Passover Memorial/day that YEHWEH told His servant Noah to start loading the boat. 2/14 [3/31 s.c.] YEHWEH’s Back-up Passover Memorial/600th DAY OF HIS SILVER TRUMPET ASSEMBLIES. 2/15 [4/1 s.c.]; The 6th Sabbath of the Year of Ram’s Horn Release/172nd Sabbath of the 1,290 Days of His servant Daniel’s chapter 12 prophecy/172nd Silver Trumpet Assembly/600th day of His Silver Trumpet Assemblies. 2/15 through 2/28 [4/1 through 4/14 s.c.]; The 14 days of YEHWEH’s 7 day Back-up Feast of that which is Unleavened that contain His 172nd through His 185th Silver Trumpet Assemblies. 2/17 [4/3 s.c.]; The day that YEHWEH sent forth the flood/174th Silver Trumpet Assembly. 2/20 [4/6 s.c.]; The anniversary of when He caused our ancestors to depart from Horeb on their 11 day journey. 2/21 [4/7 s.c.]; last day of the 168 days of the great & the fearful day of YEHWEH/178th Silver Trumpet Assembly. 2/22 [4/8 s.c.]; the 1st day of the 6/7 days of “the final hour” of Him pouring out His hot indignation. 2/22 [4/8 s.c.]; The 7th Sabbath of the Year of Ram’s Horn Release/173rd Sabbath of the 1,290 Days of His servant Daniel’s chapter 12 prophecy/179th Silver Trumpet Assembly. 2/27 [4/13 s.c.]; The day that YEHWEH opened the door of the 3 tiers of the Ark and the day that He is going to cease from pouring out His hot indignation after 6 of the 7 days of the final hour. 2/28 [4/14 s.c.]; The day of rejoicing in YEHWEH’s deliverance/14th day of the Feast/185th Silver Trumpet Assembly/840th day. 2/29 [4/15 s.c.]; The 8th Sabbath of the Year of Ram’s Horn Release/174th Sabbath of the 1,290 Days of His servant Daniel’s chapter 12 prophecy/186th Silver Trumpet Assembly.